Do you think that debt settlement is a good or bad idea? It actually depends on where you are standing financially. Some people frown upon the effectiveness of settling your debts because they think it does not really solve the problem. Although that may be true, you have to realize that most of the debt solutions that we have at the moment do not really solve the root cause of the debt situation. The truth is, the only way we can solve the debt problem is when we start changing our attitude about money and the way we use credit. If you think about it, debt only becomes bad because of how we choose to let it grow. If you look at a debt settlement, especially its methods, you will really question its effectiveness. But if you know that your financial situation will require debt reduction before you can pay it off, then this is the best option for you. It can help you get out of debt so you can start to do something about the cause of your debt scenario. According to NerdWallet, the average household is currently paying $6,658 of interest per year. This is not even the amount that they owe. That is the amount of money that you are wasting because of the debts that you have accumulated. The data revealed that this is 9% of the average household income that is making your creditors rich. What debt settlement will do is to make sure you will save money by allowing you to pay only a portion of your debts and have the rest forgiven. The success of your settlement will depend on how good you are at negotiating your debts. This is better than paying more than $6,000 on interest. It is a huge waste of your money. If you want to do something about your debt, you have to consider settling them so you can get ahead of your personal finances. In case you have doubts about settling your debts, here are 4 important reasons why you need to consider this as the best solution to get rid of debt. If you are about to declare bankruptcy. The first reason is when you are about to declare bankruptcy. Experts will always advise you to make bankruptcy your last resort. It is something that can hinder financial opportunities in the future. In bankruptcy, the court will help discharge your debts – but only if you are deemed to be unable to pay off your debts without bringing extreme financial hardship. You will end up losing your assets or you can be asked to go through a repayment plan that the court will solely decide on. Once all of these are done, you will be free from debt but you will have a damaged credit history that will stay in your records for the next 10 years. Debt settlement is the best option in case you do not want to suffer the effects of bankruptcy and still enjoy the benefits of debt reduction. If you cannot pay without a debt reduction. Sometimes, you borrow money with confidence because you know that you can pay it off. However, life makes an unexpected turn and it ends up giving you an income that is much less than what you expected. This can be a medical emergency that will eat up the budget that is allotted for your debts. Or it can even be a compromised income that will fall short of what you need to pay for your basic necessities. If your income can no longer afford to pay off your debt and the only way to get relief is through debt reduction, then debt settlement is the best option for you. If your debt is already in default. According to the article published on Fortune.com, a lot of credit card accounts are falling into default. This is according to the study done by various financial institutions. If your debt is already in default and you do not know how you can pay it off, then it is probably time for your settle your debts. Negotiate with your creditor to allow you to pay only a portion of what you owe. Anything you cannot pay will be forgiven. Of course, you have to prove to the creditor that you are unable to make any more payments than what you have to offer in the settlement. It is either the settlement amount or bankruptcy. Most of the time, the creditor or collector will minimize their losses and accept your offer. If you have mostly unsecured loans. Finally, you should opt for debt settlement if you have mostly unsecured loans. Secured loans would be hard to settle and negotiate with the creditor or lender. They can simply take your collateral as payment for the debt. If you have unsecured debts, you do not have to worry about collateral or assets being taken from you. They are safe from the creditor. You just have to be firm when you negotiate with the creditor so they will accept your settlement amount. Even after a successful debt settlement, your finances will be in need of improvement. To help push you towards a complete financial recovery, here are tips that you can follow. Keep your balance within 30% of your limit. Sometimes, you are placed in a compromising financial position because you borrowed too much money. To remove that danger, you just have to be strict with your borrowing. Keep it within 30% of your limit. This will not only control your debt, it will also help improve your credit score. Be cautious when using high-interest credit accounts. Most of the time, this involves your credit cards. You need to learn how to be a smart credit card user so you will not waste too much money on the interest you will pay towards your debt. Boost your emergency savings. The FederalReserve.gov revealed that 22% of their respondents had a major medical expense that was unexpected. Since healthcare is something that you cannot skip, most people will borrow money to help with the expense. If you have emergency savings, you do not have to worry about using debt to finance your healthcare needs. Eliminate the bad financial habits that cost you to get into debt. Finally, debt settlement should teach you to eliminate bad financial habits that led you to debt in the first place. If it was caused by lack of emergency funds, then you know that you have to boost your savings. If it is overspending, then you need to be more disciplined when it comes to your spending errands. Identifying the cause of your debt problem will allow you to avoid having too much debt again. Answer: This is a debt relief option that involves negotiating with creditors and lenders. You will ask them to allow you to pay a settlement amount that is usually smaller than your actual balance. If they accept the settlement, they will forgive any amount that is not covered – thus marking your debt as completely paid through debt settlement. Question: What makes a debt settlement company legitimate? Answer: A legitimate debt settlement company is part of a reputable organization like the AFCC or American Fair Credit Council. You can also check the Better Business Bureau to see any customer complaints filed against the company. A higher ranking from the BBB would mean the company is legitimate. A quick way to determine if a company is legitimate is to observe if they ask for upfront fees. This is illegal. If they ask for an upfront payment, you can assume this is an illegitimate business. Question: What do debt settlement companies charge? Answer: It usually depends on how much debt you owe. There are debt settlement companies that base it on the total debt amount that will be negotiated. They will calculate it as a percentage of the debt – or as a fixed fee. Choose the company that will not accept payments unless they have successfully settled your debts. 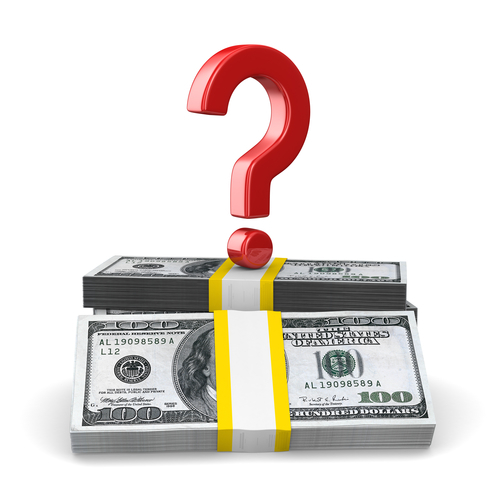 Question: What happens after debt settlement? Question: How to negotiate debt settlement? Answer: You need to call the creditor or debt collector to explain your financial situation. Let them know that you cannot pay the loan in full. You do not have to offer a settlement amount immediately. You can wait for the creditor or collector to start the settlement conversation. There is also the option to wait a couple of weeks or months before you ask about settling your debts. In case you can bring up the settlement amount, make sure to offer an amount that is much lower than what you really have. This will give you room to negotiate. Remember to avoid settling with an amount that you cannot afford.